When North Korea’s late “Dear Leader” Kim Jong Il opened the Pothonggang Department Store in December 2010, he called on it to play “a big role” in improving living standards in the capital Pyongyang, official media said. Five years later, judging by the long lines inside the three-storey store that sells everything from electronic gadgets and cosmetics, to food and household goods, the Pothonggang is meeting Kim’s expectations – at least for privileged Pyongyang residents. But the department store also starkly illustrates the extent to which the underground market has become the new normal in isolated North Korea. That poses a dilemma to the Kim family’s hereditary dictatorship, which up until now has kept tight control of a Soviet-style command economy, largely synonymous with rationing and material deprivation. Now that the black market has become the new normal, Kim Jong Un’s government has little choice but to continue its fledgling efforts at economic reforms that reflect market realities on the ground or risk losing its grip on power, experts say. A Reuters reporter, allowed to roam the store with a government minder for a look at the North Korean consumer in action, noted almost all the price tags were in dollars as well as won. A Sharp TV was priced at 11.26 million won or $1,340; a water pump at 2.52 million won ($300). Beef was 76,000 won ($8.60) a kilogramme. North Korean-made LED light bulbs sold for 42,000 won ($5). The exchange rate used in these prices – 8,400 won to the dollar – is 80 times higher than the official rate of 105 won to the dollar. At the official rate, the TV would cost over $100,000; the light bulb, $400. Shoppers openly slapped down large stacks of U.S. dollars at the cashier’s counter. They received change in dollars, Chinese yuan or North Korean won – at the black market rate. The same was true elsewhere in the capital: taxi drivers offered change for fares at black market rates, as did other shops and street stalls that Reuters visited. 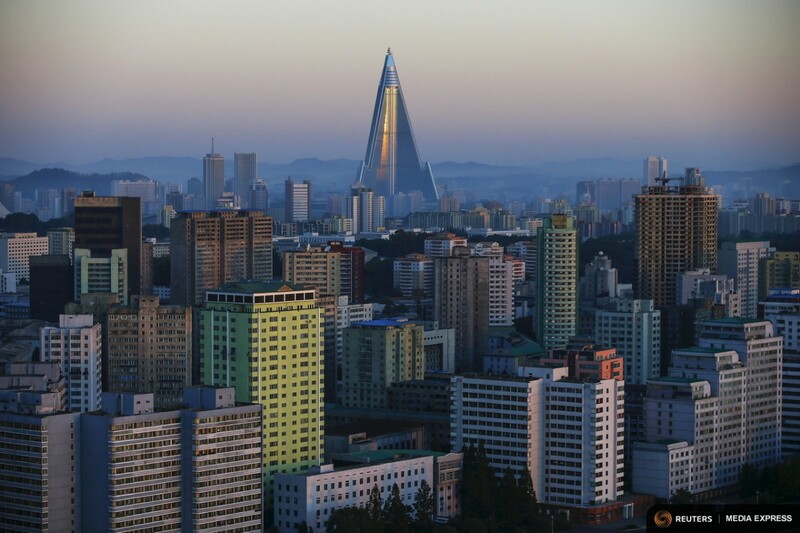 For the last twenty years, North Korea has been undergoing economic changes, the fruits of which are now more visible than ever in the capital, Pyongyang, where large North Korean companies now produce a diverse range of domestically made goods to cater to this growing market of consumers. People are spending money they once hid in their homes on mobile phones, electric bicycles and baby carriers. Only recently an elite item, mobile phones are now common in the capital, with nationwide subscriber numbers topping three million, an employee with Koryolink, the cellular carrier controlled by Egypt’s Orascom Telecom told Reuters. And the latest sign that the workers’ paradise is going capitalist: cash cards from commercial banks. None of that has had much effect on the vast majority of North Koreans living in the countryside, where a rudimentary market has evolved considerably over the past two decades. Agricultural mismanagement, floods and the collapse of the Soviet Union led to famine in the mid-1990s. The state rationing system crumbled, forcing millions of North Koreans to make whatever they could to sell or barter informally for survival. The regime penalised this new class of entrepreneurs in 2009 when it redenominated the won by lopping off two zeros and setting limits on the quantity of old won that could be exchanged for the new currency. That move ended up destroying much of the private wealth earned on the market. Demand for hard currency surged after the bungled currency reform as more and more merchants in the underground markets required transactions to be conducted in foreign currency. It triggered two years of hyperinflation. But the government of Kim Jong Un, who became leader after his father’s death in December 2011, has essentially accepted the ubiquity of the black market rate and a widespread illicit economy, North Korea experts say. “Under Kim Jong Un, not a single policy has been implemented which would somehow damage the interests and efficiency of private businesses,” said Andrei Lankov, a North Korea expert at Kookmin University in Seoul. “It’s a good time to be rich in North Korea”. 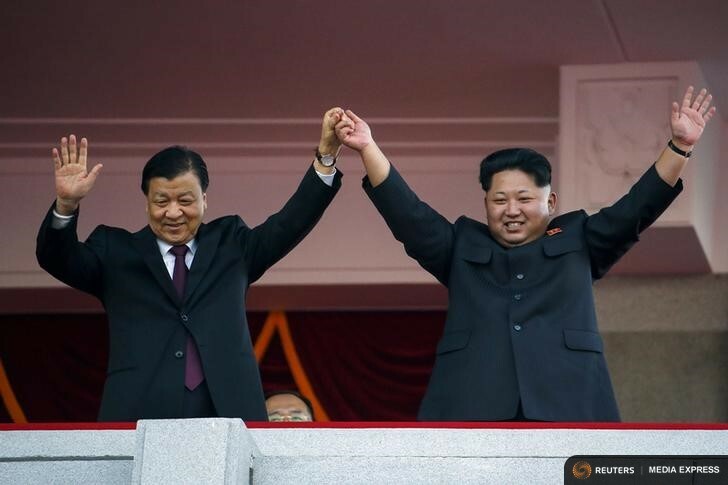 At a speech following a military parade marking the 70th anniversary of the ruling Workers Party, Kim Jong Un (right) promised to introduce “people-first” politics. It remains unclear, however, how committed he and his Workers Party – not to mention the powerful military – are to market-based reforms. 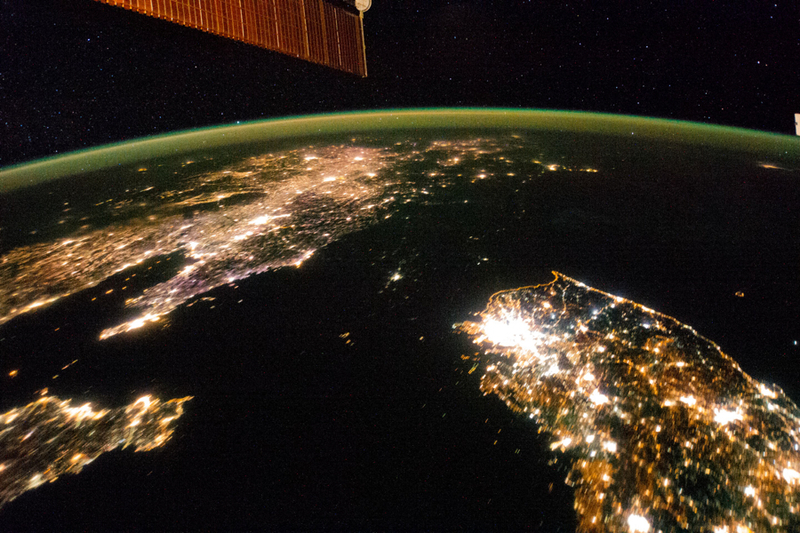 A photo of the Koreas at night taken from the International Space Station January 30, 2014. The image illustrates the stark difference between North and South Korea: North Korea is almost completely dark compared to neighboring South Korea and China. The darkened land appears as if it were a patch of water joining the Yellow Sea to the Sea of Japan. Photo courtesy of NASA. In a remarkable demonstration that may presage the end of one of the world’s most deeply embedded conflicts, three of North Korea’s most senior leaders have made a surprise visit to the South. The excuse for the unprecedented trip across the heavily-armed border that has divided the peninsular since the Second World War was to attend the closing ceremony of the Asian Games, held at the city of Incheon west of the South’s capital Seoul. But the three also met senior South Korean officials and agreed that talks should be held to improve relations between the two sides of the divided nation. Welcome! We depend on the honour system. Try one story at no charge. If you value our work, please chip in at least .27 per story or $1 for a day site pass, via the “donate” button below. Click here for details.